Why should you choose Cape Splendour? I have been planning and conducting successful tours in the Western Cape since 2003 and go to great lengths to make sure my guests receive the tour of their dreams. Great attention is paid to determining exactly what the needs and wants are and making sure they are met. I take care of the small things which can make or break a tour, I am extremely flexible and very sensitive to your needs. The end result is that you receive more than a tour, it is more like a life time experience which will be fun, informed and safe! My pledge to you is to be honest and straight up in all our dealings, and to go out of my way to make your touring experience the best that it could possibly be. In fact I will go all out to exceed your expectations! 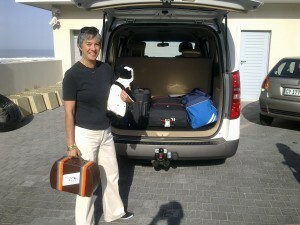 So book a tour and let me share the Splendours of the Cape with you! My aim is to give you the tour of your dreams! If it is adventure you are after, that is what you will receive, if you prefer a relaxed pace with lots of time to browse, take photographs and smell the roses that is what you will enjoy! If it is fine dining or a braai (South African BBQ) or a picnic or even fish and chips on the beach, that your heart desires, you just let me know and we will make it happen! My mission is to give you a WOW experience! I qualified with a B.Soc. Sci back in the 80’s and completed a Post Graduate Diploma in Personnel management in 1983 where after I followed a career in Human Resources and Corporate Banking. My career in the Bank taught me a few things about customer service and sound business practices, however after 14 years of dancing the corporate dance, I decided to resign so that I could indulge my passion for sharing the Splendours of the very beautiful Cape with visitors. I love inspiring them with stories of our rich history and the transition from the Old South Africa to the New South Africa. I have completed a South African Wine Course with the Cape Wine Academy in 2013. I am very proud of my Advance Drivers Licence which makes me a safer driver than 99% of my competitors. Since opening in 2003, Cape Splendour has built a name for itself as a top quality Service Provider. The Trip Advisor Certificates of Excellence for 2014, 2015 and 2016 bear testimony to that . Please feel free to read some of the reviews on Trip Advisor which speak for themselves. Needless to say I am a Registered Tour Guide and have all the required licences, permits and Passenger Liability Insurance. I am a mom, which makes me ‘user friendly’ with families. So if you are looking for a family holiday drop me a mail and I will give you lots of family vacation ideas. I also am a golfer and am happy to share my local knowledge of our beautiful courses. Whilst not an adventure junkie, I am proud to say that I have fairly recently gone paragliding, abseiling, parasailing, kayaking, shark cage diving, tunnelling and zip lining! This is so I can share my experiences with my guests who may be considering indulging in some of these adrenalin producing activities! So if it is Adventure Travel you are after, you are in the right place! In my spare time, when I am not sharing the Splendours of the Cape with visitors, you will find me either on one of our beautiful golf courses in Cape Town or in the Atlantic body boarding. 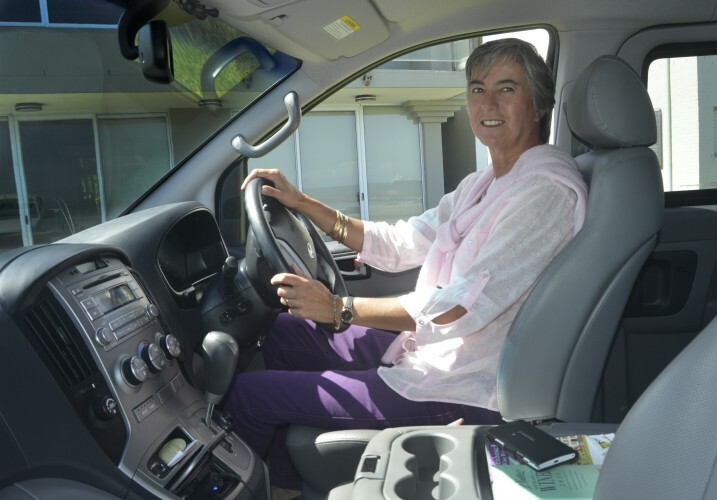 Should I be previously booked at the time you require a tour, I have a handpicked team of likeminded owner/driver guides who have similar vehicles and conduct Private Tours with the same philosophy and passion which Cape Splendour is known for. 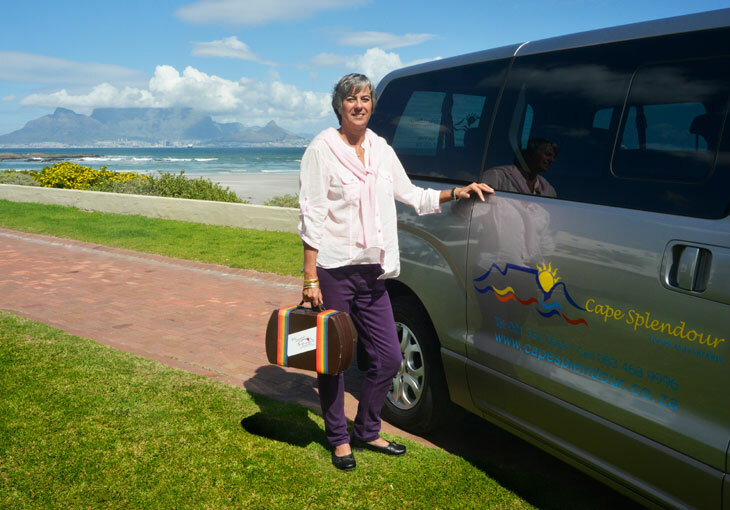 Your comfort and safety while enjoying a Private Tour with Cape Splendour is of utmost importance! Martin and I drive relatively new Hyundai H1’s which comfortably seat 7 passengers. They are air-conditioned and meticulously maintained. They are fitted with a P.A. system so that everyone in the vehicle can hear our pearls of wisdom. I also offer free Wi- Fi whilst you are with me on or off the bus! Our vehicles are replaced every four or five years to ensure your maximum safety and driving pleasure. 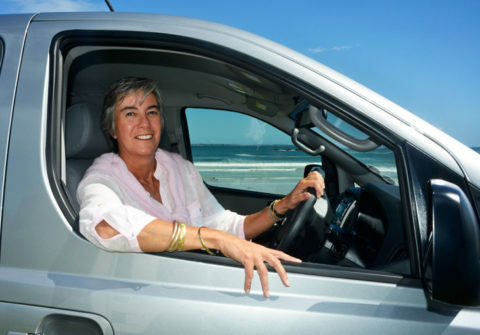 Cape Splendour has had a great many positive comments on the comfort of our vehicles and the way in which they are driven, so, not to worry, we will get you there and back very safely!